During his illustrious, 50-fight career, there wasn’t anything that Floyd Mayweather didn’t seem to accomplish. From winning multiple titles in five weight divisions to facing and beating a who’s who of top-flight names, to raking in hundreds of millions of dollars, “TBE” transcended the sport. And, as memorable as 2017 has been, undoubtedly one of the biggest events that took place this year was Mayweather’s monstrous pay per view vs. Conor McGregor, which raked in an estimated 4.3 million pay per view buys. The star power for Mayweather is still there, but he insists that he is officially done with the sport. So, who can we expect to fill Mayweather’s shoes in the wake of his retirement from boxing? It would be hard to imagine anyone, honestly. Just look at Mayweather’s resume, which includes wins over Manny Pacquiao, Marcos Maidana, Canelo Alvarez, Miguel Cotto, Shane Mosley, Zab Judah, Diego Corrales, Jose Luis Castillo, Arturo Gatti, and countless others. But the sport is filled with talent. Fighters such as Gennady Golovkin, Vasyl Lomachenko, Terence Crawford, Canelo, Keith Thurman, Errol Spence, Danny Jacobs, Deontay Wilder, Anthony Joshua, and others who have risen to the top. Who of those listed stands out, in Mayweather’s eyes? Turns out it’s Terence Crawford. 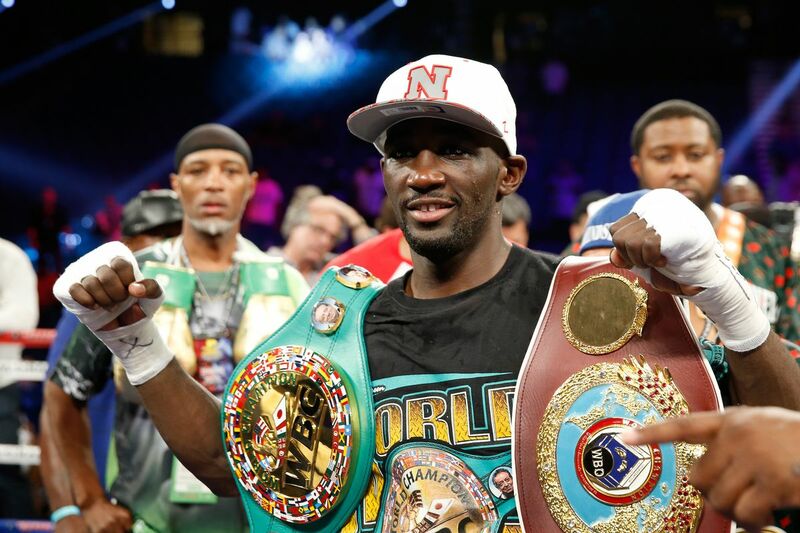 True enough, Crawford (32-0, 23 KO’s) has set the standard in the sport when it comes to being a complete fighter. He can box from both sides, has power, speed, great mental fortitude, toughness, and an uncanny ability when in the ring as far as adapting and reading his opponents. Crawford is expected to face off with Australia’s Jeff Horn (18-0-1, 11 KO’s) is his next bout, which would secure him the WBO welterweight title if successful. After that, the door would be open for a wide range of possibilities. “He’s a lot older than I was when he really started getting his props, because I turned professional as a teenager,” noted Mayweather of the 30-year old Crawford. Many in the sport are dying to see Crawford face off with IBF welterweight champion Errol Spence. Spence himself is lined up with a title defense vs. Former champion Lamont Peterson next month.